Earlier this month, the Government of Afghanistan had announced a temporary ceasefire, starting on the 27th day of Ramadan, 12 June, and running through the end of Ramadan on Thursday, into the third day of the Eid-ul-Fitr festival, which begins on Friday. A few days later, the Taliban also announced a three-day partial ceasefire during Eid al-Fitr. “I sincerely hope the sense of solidarity marked by this joyful occasion will continue well into the future, enabling the extension of the ceasefires and leading to the peace that all Afghans want and deserve,” he said. In an opinion piece for the Washington Post on Thursday, Mr. Yamamoto - who also heads the UN Mission in the country, UNAMA - said that both the Afghan government and the Taliban were "tacitly recognizing the growing popular expressions of frustration with the unending war." 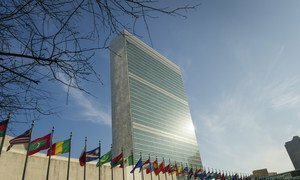 "After several years of trying to support peace as the UN Secretary-General's Special Representative for Afghanistan," he writes, "I strongly believe that the elements of a potential deal are now discernible through the haze and dust of war." Noting that the Eid holiday ceasefire was unprecedented in 17 years of conflict, he said that "both agree that Afghanistan should neither be a haven for global terrorists, nor a threat to its neighbours." 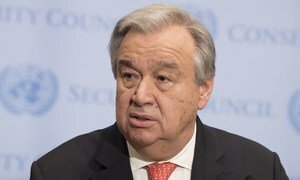 United Nations Secretary-General António Guterres has welcomed the week-long ceasefire announced by the Government of Afghanistan with the Taliban and called on the militant group to reciprocate the temporary pause.